Two years after pharma company Bayer first agreed to purchase GMO and pesticide Goliath Monsanto, European regulators have given their seal of approval to the deal. With an expected price tag of $62.5bn and the combined corporation likely to control more than a quarter of the world’s seed and pesticides market, the approval is conditional on Bayer, formerly a leading member of the infamous IG Farben Cartel, selling parts of its existing business to supposedly ensure the deal doesn’t reduce competition. 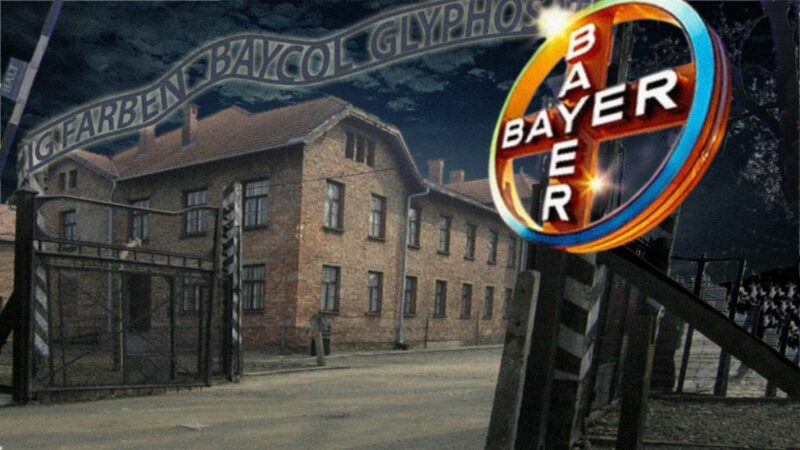 But in a move seen by some as being just as controversial as the purchase of Monsanto itself, Bayer has proposed chemical company BASF, one of its former IG Farben partners, as buyer for the business assets it will be selling. 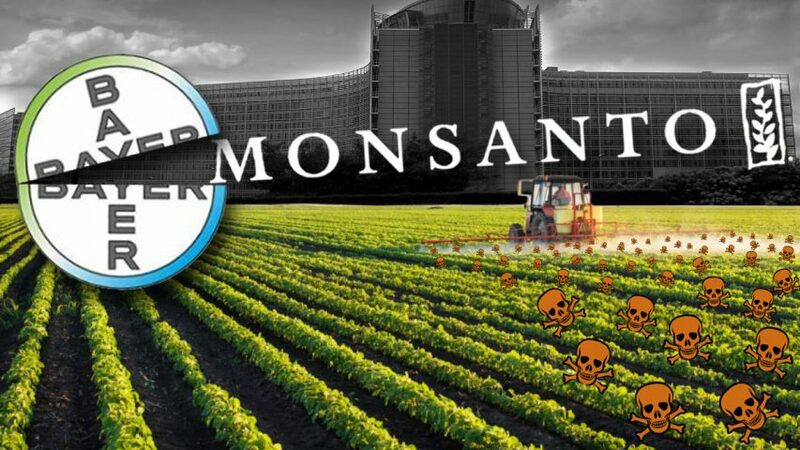 Not surprisingly, the Bayer-Monsanto tie-up has been strongly criticized by health campaigners, farming groups, environmentalists, and the general public alike – all of whom worry it will create a GMO and pesticides monster that will dominate the global food supply. Coming at a time when there is growing worldwide interest in vitamin-rich food produced naturally, locally, and in harmony with the environment, the deal has been widely criticized as “a marriage made in hell.” Despite receiving over a million petitions relating to the takeover, regulators in Europe nevertheless went ahead with their approval – thus indicating they see corporate interests as being more important than the health and lives of European citizens. 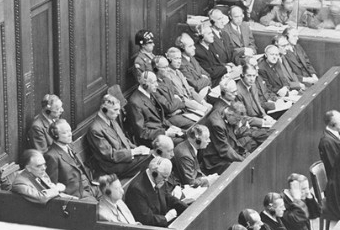 In July 2007, after they had essentially been gathering dust in international archives for six decades, our Foundation published historic records from the key war crimes trial that determined responsibility for WWII. 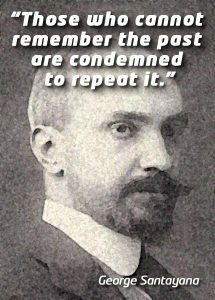 Comprising tens of thousands of documents from the 1947-1948 Nuremberg Tribunal, the evidence they contain proves that WWII was planned and financed by the IG Farben Cartel. Consisting of Bayer, BASF, Hoechst and other companies, IG Farben was the world’s largest pharmaceutical and chemical conglomerate at that time. The driving force behind WWII was IG Farben’s ruthless ambition to gain control of the global markets in drugs and chemicals, and then eliminate any competition. Towards achieving this, it had deliberately financed the Nazi party’s rise to power. From a historical perspective, the Nuremberg documents provide a clear warning as to what can happen when corporate and political interests become closely intertwined. While over 70 years have passed since the managers and executives of IG Farben were tried at Nuremberg, the basic strategies of both their corporate successors and Monsanto remain strikingly similar. Gaining control of the global markets in drugs, chemicals, and GMOs; eliminating competition; spending millions of dollars on political lobbying and campaigns opposing the passing of democratic GMO labeling legislation: all these things are central to their relentless pursuit of profits. As Bayer’s purchase of Monsanto still has to be approved in both the U.S. and Russia, we can only hope that regulators there take decisions that better reflect the health interests of citizens. But whatever happens next, one thing is for sure. The longer global regulators and politicians continue to ride roughshod over the interests of citizens, the more likely it is that the voices of those citizens will grow ever louder demanding change. In such circumstances history clearly teaches us that, one way or another, even the largest Goliaths can eventually fall.